The state of Minnesota is often referred to as the "land of 10,000 lakes" and is ideal vacation destination for families. Beside thousands of lakes, Minnesota has 66 state parks and eight national parks. It also offers a wide selection of campsites for RVs and tent camping. Most campsites in Minnesota are on lakes and rivers and most are pet friendly. The name Minnesota is derived from Indian words meaning "sky-blue waters", which describes this beautiful state. Minnesota is also known for dozens of attractions and cultural sites for travelers who want to explore nature of Minnesota and enjoy in Minnesota lifestyle. Minnesota is full of magnificent nature and thus offers lot of campground for every type of camper. Some highly popular campgrounds in Minnesota are Birch Lake Campground, Crosslake Campground, Sandy Lake Campground, Fall Lake Campground, Itasca State Park. Birch Lake Campground is about 13 miles from Ely, Minnesota. Birch Lake covers 7,628 acres and is ideal place for fishing, boating, canoeing, and other recreational activities. 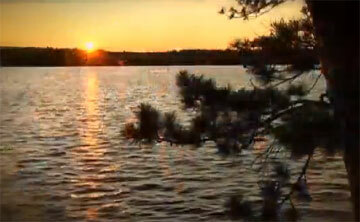 The campground has a main camping area and 15 backcountry campsites on Birch Lake. Campsites are shaded with picnic tables, tent pad and campfire ring with grill. The greatest attraction near this campsite is Boundary Waters Canoe Area Wilderness which are over 1-million acres in size and extends nearly 150 miles along the United States –Canada border. It contains over 1,200 miles of canoe routes, 12 hiking trails and over 2,000 designated campsites. Crosslake Campground located in central Minnesota is famous for its picturesque sunsets, beautiful beaches, and well-maintained campsites. This campground is also known as the Roland L. Cloutier Recreation Area offering lot of activities for camping enthusiasts. Crosslake is situated among tall pines on the eastern banks of Cross Lake. 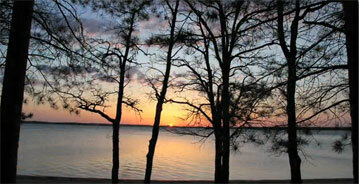 The area has access to 13 natural lakes, 13,660 acres of water and 119 miles of magnificent shoreline. In this recreation area campers may enjoy fishing, water skiing and boating. The Crosslake Campground has 118 campsites which provide you many facilities such as hot shower facilities, boat ramps, several playground areas, fishing docks, picnic shelters. Crosslake is near the Crow Wing State Park where visitors may view the Mississippi River from the historic "Chippewa Lookout". Sandy Lake is located in northern Minnesota, 13 miles north of McGregor. The park is famous for fishing, boating and picnicking on lake as well as on Mississippi river. This campground offers 43 single family sites, 5 double family sites, and two group sites. As far as amenities are concerned this campground provides flush and vault restrooms, drinking water, shower, laundry facilities, and a dump station. Nearby attractions include shopping and dining venues, golf courses, Savannah Portage State Park, Rice lake National Wildlife Refuge and many acres of forest land. Fall Lake is located on the shores of Fall Lake among majestic pine. It has a swimming beach, playground, picnic area, canoe landing, store with canoe rental and firewood, and 1 ½ mile hiking trail to a viewing platform. This lake has some sites that can be reserved and some that are first-come. Many sites at Fall Lake Campground can accommodate all types of RVs. Nearby, visitors can visit Dorothy Molter Museum, International Wolf Center, North America Bear Center, Ely-Winton History Museum or Soudan Mine although the most popular nearby attraction is Boundary Waters Canoe Area Wilderness. Itasca State Park is the oldest state park and is a campground that every camper enthusiasts must see. This campground perfectly fit a family of four and can provide you all the amenities of home. While staying in the campground visitors can walk, bike or drive, picnic under 250-year old tress, climb the fire tower. Beside these activities, campers may do many other traditional things like camping, fishing, swimming and canoeing. During your stay in this campground you must explore Wilderness Drive near the 2,000 acres Wilderness Sanctuary, one of Minnesota's seven National Natural Landmarks. Joe's Lodge is an RV Park located right next to a lake. It has baths with showers and sauna. Boat decks on the lake offer pleasures of boating. The beach with dedicated swimming area has water-slide and water toys. If you like sports you can also play some tennis at the tennis court. For bad weather or for relaxing with friends there is also a game room with video games, pinball, and pool table. Camping sites are equipped with picnic tables and fire-rings. RV Park includes laundry facilities and internet covering the whole campsite, and in local shop you can find groceries, soft drinks, beer…..
16585 Wilkey Loop Road N.E. Dreamers Resort & Campground is a beautiful area with clean air and water. It is next to Dreamers Bay, close to the main lake. If you like fishing, you will love it here: you can find lots of fish such as pan fish, crappie, perch, large-mouth bass, walleye, northern, and muskie. Since the camp is so close to the lake, you can enjoy all it has to offer. You can go swimming, do some fishing from a boat or the docks, or enjoy bird-watching. It is a perfect spot to relax. Trails RV Park is located in central-north Minnesota, only 4 miles north of Walker in the beautiful Chippewa National Forest. The RV Park offers large shaded areas as well as sunny grass sites so everybody can find here lovely” place for stay. You can enjoy privacy at this park, as there is no side by side parking. Each site is bordered by woody areas, thus offering lots of peace, privacy in the middle of nature. All the sites at Trails RV Park include water, sewer, 20/30/50 amp electrical hook-ups, picnic table, fire ring, high speed wireless internet and cable TV. You can come with your bike, motorbike and boat. There is a boat storage area at each site. There is also a heated pavilion, which is perfect for large group gatherings especially in chilly weather conditions. If you would like to rest and park your RV in large shady areas, visit Summer Haven RV resort. There are lots of woody areas where you can have nice walks “touching” the nature. There are also plenty of large grassy recreational areas around the park. You can do some fishing and boating in the nature. For more demanding water lovers there is a heated pool at the park. The lake is abundant in fish such as walleye, northern pike, blue gill, perch, sunfish and more. The park organizes activities for kids, for example crafts, so children may also enjoy staying at the RV Resort. Besides all this you can play volleyball, basketball and shuffleboard here, and even do some kayaking and canoeing. When you travel to Minnesota, you will want to stop at the Restaurant in a Fish near Bena. The directory of campgrounds helps find a place close to some area attractions. Whether you park your motorhome trailer at Pine River or a pop up camper in Tower, you will have some adventure and fun. A beach camp that has lot sizes for a mobile home or any size recreational vehicle will always have plenty of activities for the entire family. Get in your motor home and find a campground with the help of a directory of campgrounds: tent and RV camping parks Minnesota (MN) as you travel. One nice area is further into Minnesota along the lake for some great views of the beautiful lighthouses. You will not run out of lighthouses to see or falls to stop and visit. The campgrounds offer some nice facilities and great relaxation time.